I just love the tasted of malted milk powder! As a kid, my mom would often top plain vanilla ice cream with sprinkling of this powder, and our favorite ice cream shop in town had a popular malt with 2x the malt powder. Yum! 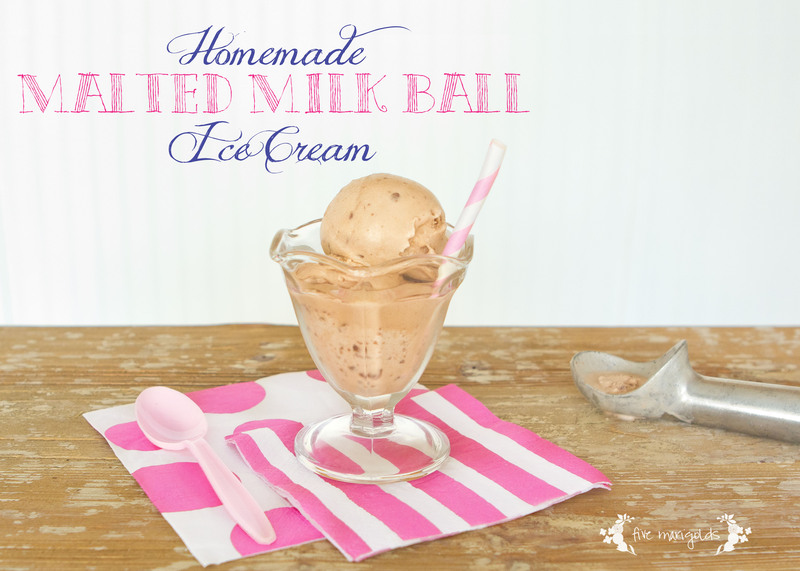 I wanted to introduce my kids to the same flavor, so when we came up with the idea to create our own ice cream truck, I went on the search for a good Malted Milk Ball ice cream. Unfortunately every recipe I found included eggs, which I didn’t want to mess with. So, I came up with the following recipe using our Cuisinart Ice Cream Maker*. Add the milk and use a mixer or whisk until the sugars are dissolved. Stir in the cream and vanilla. Set it in the fridge to cool at least 2 hours or overnight. Pour the chilled mixture into your ice cream mixer* for 15-20 minutes or until it’s thickened. 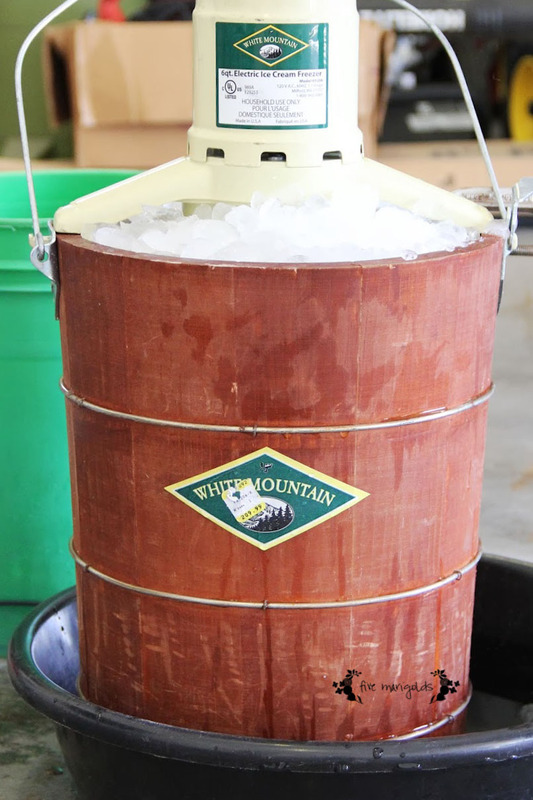 Slowly pour the desired amount of Milk Balls into the drum while the ice cream mixes, or fold it in at the end. Freeze in an airtight container for about 2 hours. Enjoy! What do you think? Are you a fan of Malted Milk Ball ice cream? I’d love to hear your favorite ice cream flavor in the comments below. *No ice cream maker? No problem. Once you’ve reached step five, simply put the container in the freezer for 2 hours or until it begins to freeze slightly. Stir in the malted milk balls and stir after another hour to evenly distribute, if necessary. 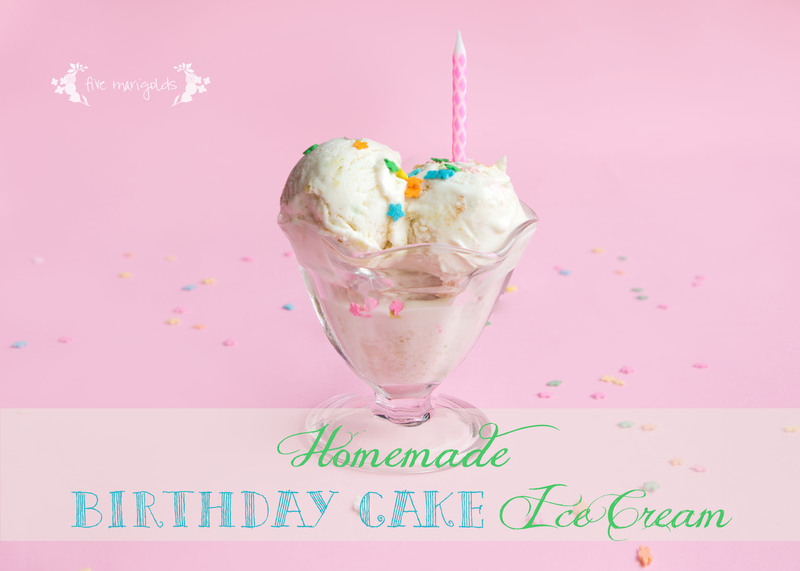 This entry was posted in Family, Food, Kids, Uncategorized and tagged Ice cream, Kidpreneur, Recipe, Sweet Treat on July 21, 2014 by fivemarigolds. Dub has the heart of an entrepreneur. And marketer. He’s always saying things like, “I want to open a restaurant and name it ____,” or, “I wish I was old enough to start my own ______ business.” I love this quality about him, so this summer I wanted to show him that he can bring his ideas to life. We chose to hone his kidpreneurial ambitions through his dream of owning an ice cream truck because, his mom really likes ice cream what better timing than summer break? He immediately knew he would name it “The Scoop” and his pitch would be “Get a scoop, double scoop at The Scoop!” I encouraged him and Eve to brainstorm some ice cream flavors. They each came up with two ideas and we’ve been enthusiastically experimenting to finalize our menu. Today we landed on our first unanimous winner that he named Cookie Crunch Blast. 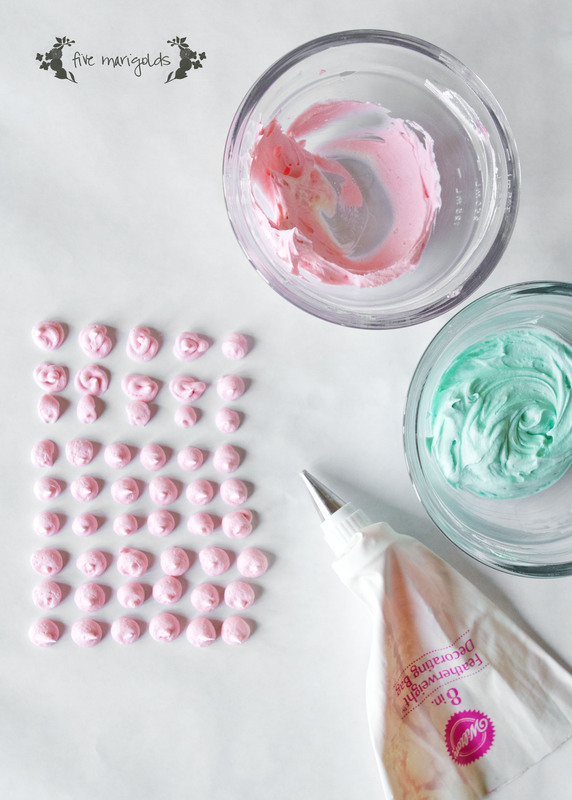 It’s a slightly modified version of this fab recipe by Crunchy Creamy Sweet that’s actually a frozen yogurt that’s just as tasty as ice cream. Despite the name, there’s no real crunch, but it is definitely a super-sweet cookie blast for the tastebuds. First, mix the butter and sugars with a mixer. Then, in a separate bowl whisk together the flour, baking soda and salt. Add chocolate chips and crushed cookies. Gently fold the flour mixture into the sugar mixture until well combined, then thoroughly mix in the yogurt. 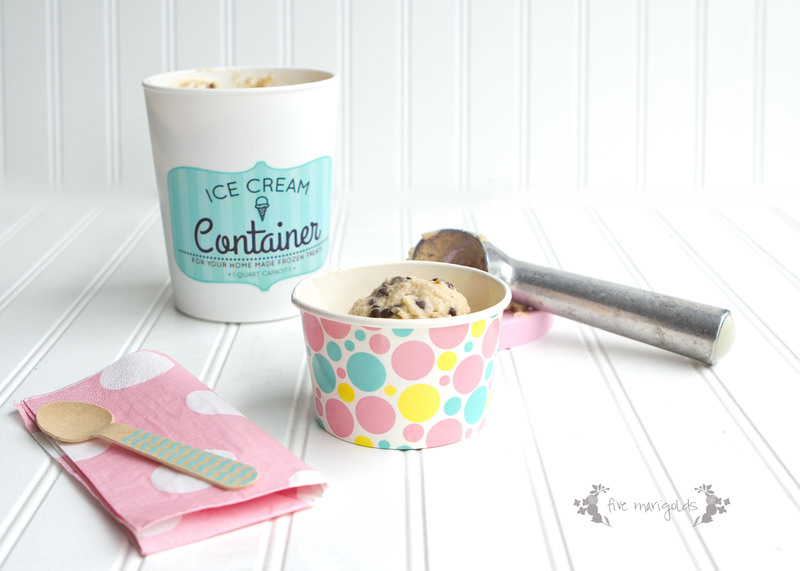 Freeze overnight in a sealed container, then fight the urge to eat it for breakfast. That’s it! 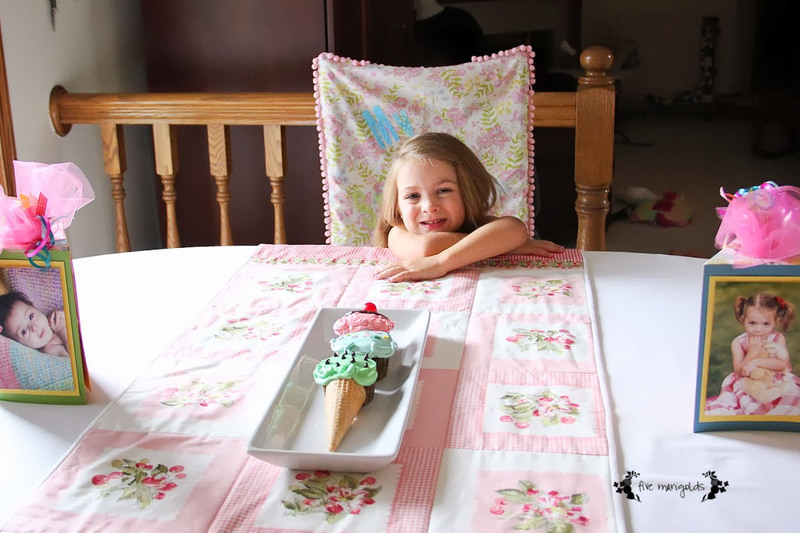 No fancy ice cream maker necessary. Try it for yourself and let me know what you think! 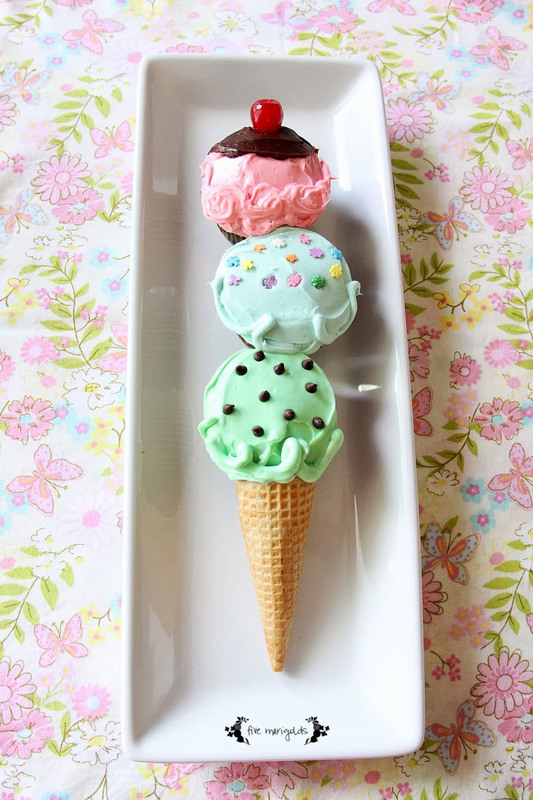 This entry was posted in Family, Food, Kids and tagged Entrepreneur, Frozen Yogurt, Ice cream, Ice Cream Truck, Kidpreneur, Recipe, Summer Vacation, Sweet Treat, The Scoop on July 17, 2014 by fivemarigolds. 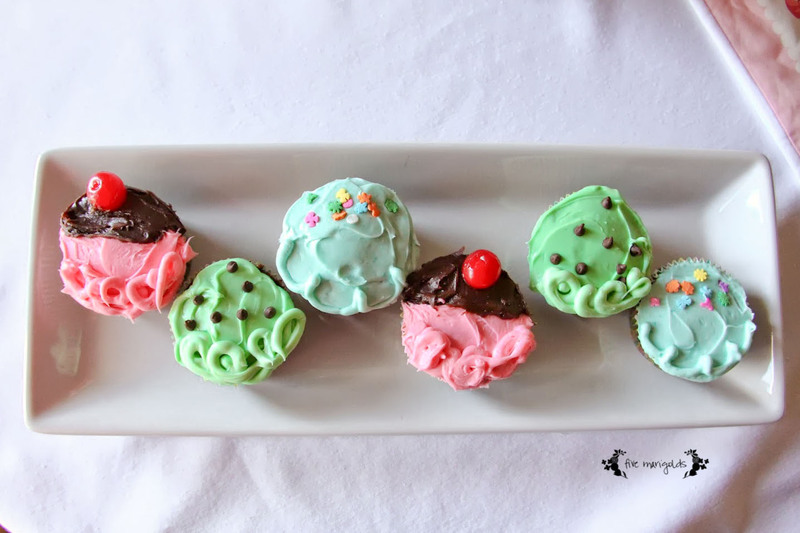 I whipped up a batch of plain ol’ boxed mix cupcakes, and decorated them using my Pampered Chef Decorator Bottle Set, sprinkles, mini chocolate chips and maraschino cherries. The kids absolutely loved these! 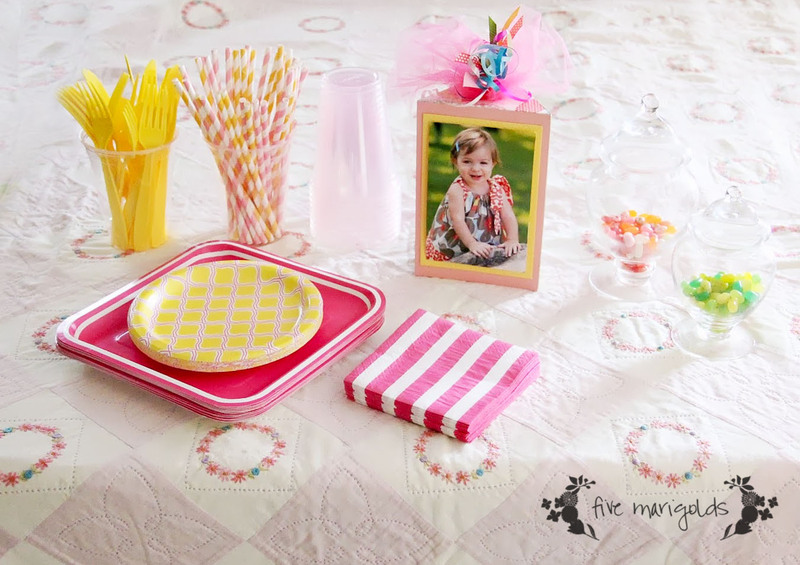 This entry was posted in Birthday, DIY, Family, Kids and tagged birthday, cupcakes, diy, homemade, Ice cream, Ice cream cone on July 21, 2013 by fivemarigolds.